Lightly oil a deep 20cm cake tin and line with grease-proof or parchment paper. In a medium bowl, sift together the gluten-free flour, baking powder and xanthan gum. Next, add the dairy-free spread, caster sugar, eggs, dairy-free milk and lemon zest. Whisk the ingredients together using an electric whisk, until the mixture turns a paler colour. Spoon the mixture into your prepared tin and even out the surface. Bake in the centre of your oven for 35-40 minutes, until well risen and springy to the touch. Let it stand for 5 minutes, before turning out on to cooling rack. 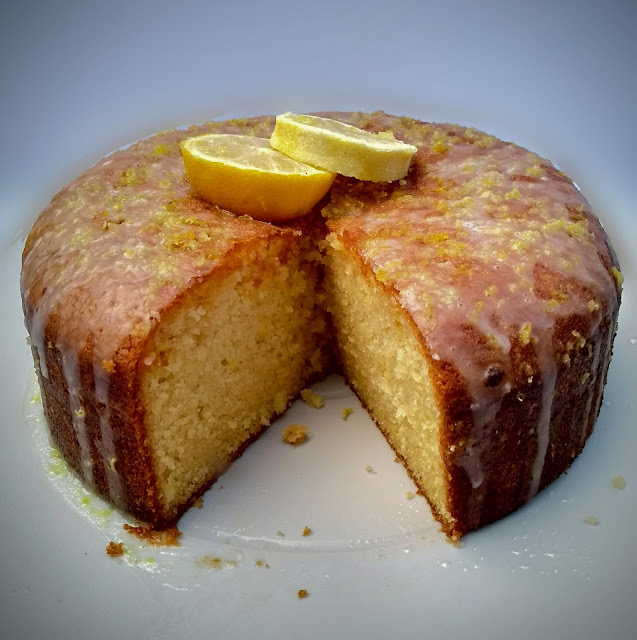 In the meantime, make the glaze by mixing the lemon juice, lemon zest and sugar together until the sugar starts to dissolve. Pour evenly over the cake whist it is still warm. Decorate with slices of fresh lemon to serve.